The directors of the Liverpool and Manchester Railway held a competition to find the best design for a locomotive to run on the line. The Rainhill Trials, as they were known, began on 6th October 1829 with a crowd of up to 15,000 people gathered along the track to watch. Taking part were four steam locomotives (Novelty, Perseverance, Rocket and Sans Pareil) and Cycloped (powered by two horses walking on a treadmill). Locomotives were required to pull three times its own weight over a distance of 70 miles (20 return trips) at a speed of at least 10 miles per hour. Cycloped was the first to drop out after an accident caused the horse to burst through the floor of its engine. Perseverance, meanwhile, failed to reach a speed of 10mph, Sans Pareil suffered a cracked cylinder and Novelty (despite being the public's favourite) dropped out after it's boiler broke and damaged its engine. 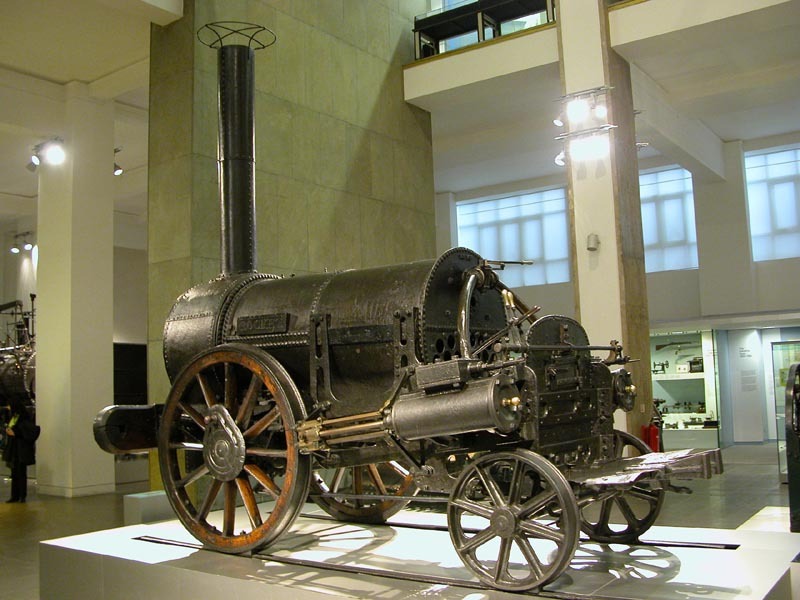 George and Ben Stephenson's Rocket was was the only locomotive to complete the trials - it reached a top speed of 30mph making it the fastest machine in the world in 1829. They won the £500 prize money and were therefore chosen to produce the locomotives for the Liverpool and Manchester Railway.